He is a listing of eBooks that I have published. Students in my classes publish their work. They have researched and learned about the curriculum by creating and publishing eBooks. These published books have provided a way for students to share their learning with the community and beyond. The following books are available for free download from the iBooks store by clicking on the cover images below. For a listing of all my books in the iBooks store use this link. #11. This book is primarily a bilingual history of Brazil during the Cold War from the 1950's to 2014. 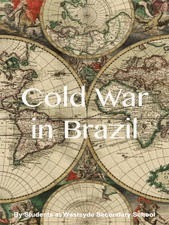 The content is on Brazil during the Cold War including Canadian involvement and interactions. You will find information ranging from politics to the economy to society to sports. International exchange students from Brazil specifically researched the links between Canada and Brazil while creating this book. Special thanks to the following book captains Thaynara & Indyanara for assembling, editing, and collating each students chapters. This book is a portfolio of their learning and is student written and researched. We hope you enjoy reading it as much as we enjoyed creating it. #10. The city of Kamloops has a rich history. 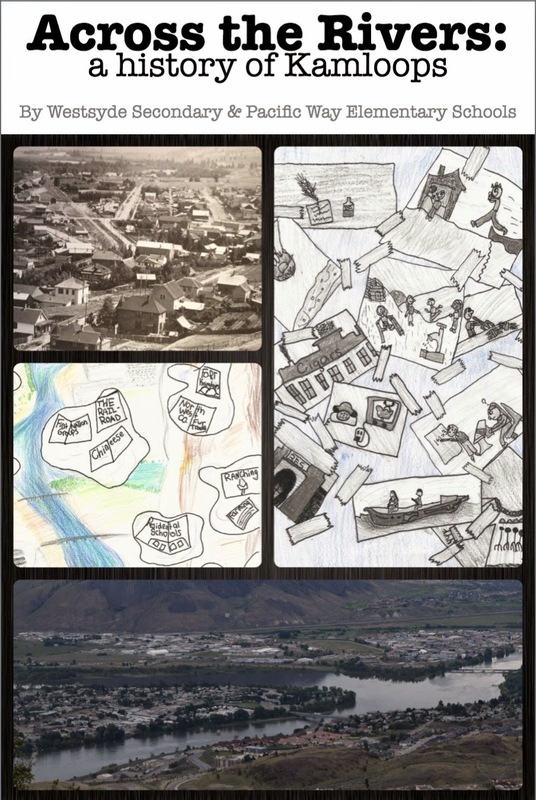 This book is a result of student research and learning on Kamloops' history of the 19th century. The following topics are covered: Secwepemc Culture, Fur Trade (Northwest Company and Hudson’s Bay Company), Kamloops Residential School, Early Kamloops Settlers, Kamloops Buildings/Businesses, Gold Rush and Mining, Local Schools, C.P.R., Chinese Community, Early Politicians, Ranching Industry and much more. This book was a joint project completed in the Spring of 2014 between Mr. Reid from Westsyde Secondary and Mr. Sandhu from Pacific Way Elementary. Mr. Reid’s Grade 10 students and Mr. Sandhu’s Grade 5/6 students were learning about this important time period in Kamloops while doing detailed research on the aspects of life in the Victorian Era. This book consists of a portfolio of the learning the students did in their small groups. Students have created many videos, concept maps, comics, and paragraphs to help explain their topics. Since the two school classes working on this project are located on opposite sides of the city, the joint work was done by using Skype and sharing Google documents. #9. This book was created by my History 12 students in the Fall of 2014 while learning about Germany during the 1920's and 1930's. This book was updated with new and improved content by another Grade 12 class in the Fall of 2015. This book is a history of Germany between the World Wars. The focus is around how Adolf Hitler rose to power during the 1920’s and 1930’s. 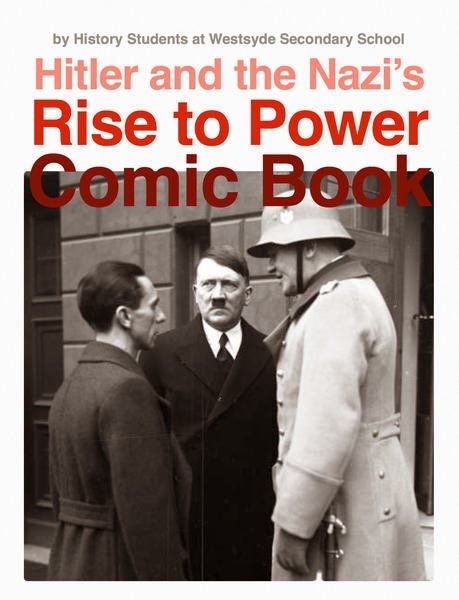 Many topics are illustrated in this Comic Book on Hitler’s rise to power. Through the 1920’s and 1930’s you will learn about rallies, ideology, politics, paramilitary groups, discrimination, and Germany society. Students created this book to be a portfolio of their learning about Germany prior to World War II. This student written history book is written in a comic book format to make it both a deep learning experience and an interesting read. #8. 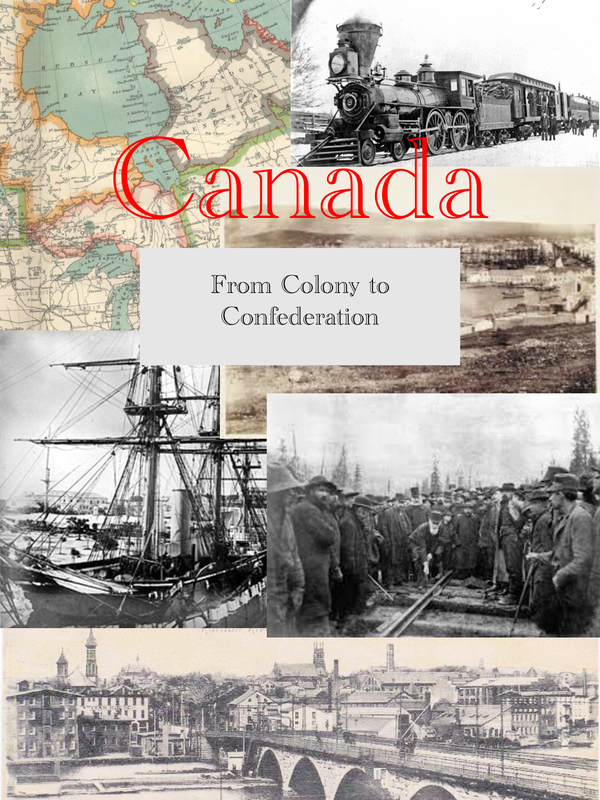 This book was created by my Social Studies 10 Students while learning about confederation in the Fall of 2014. Canada is a very vast and diverse country today. Prior to being a united country, Canada was a collection of separate British colonies. This book explores the regional viewpoints of the colonies and the reasons that they ultimately united together in 1867 to form the Dominion of Canada. This history book is written in a comic book format and with video's to make it both a deep learning experience and engaging. #7. 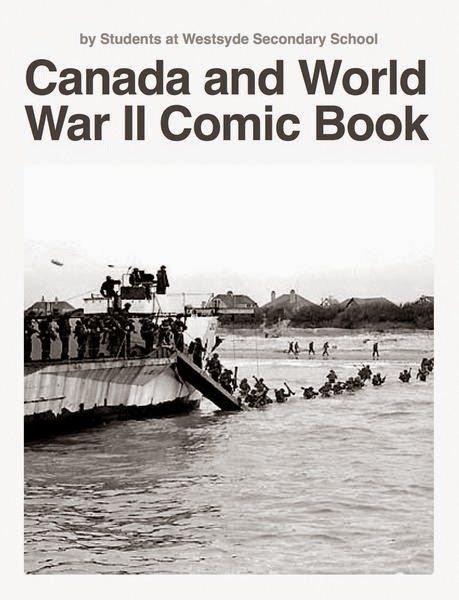 This book was created by my Social Studies 11 class in the Fall of 2014 while learning about Canada and World War II. This book went through a major re-write with my Grade 11 classes in the Fall of 2015. This addition has more than doubled the number of pages. This book is a history of Canada’s role in World War II. In WWII, Canada plays a decisive and crucial part in it's support of the Allies. We will look at engagements where Canada is stunningly successful and also where it suffers crushing defeats. The following battles are illustrated in Comic Book form in light of Canada’s contribution: Battle of Britain, Battle of Hong Kong, Dieppe Raid, Battle of Sicily, Battle of Ortona, D-Day, Battle of the Atlantic, Battle of the Bulge, Battle of Scheldt, Operation Market Garden, Battle of Rhineland, Liberation of the Netherlands, Manhattan Project, Canadian Women’s Army Corps(CWAC), and Minorities who fought for Canada. #6. 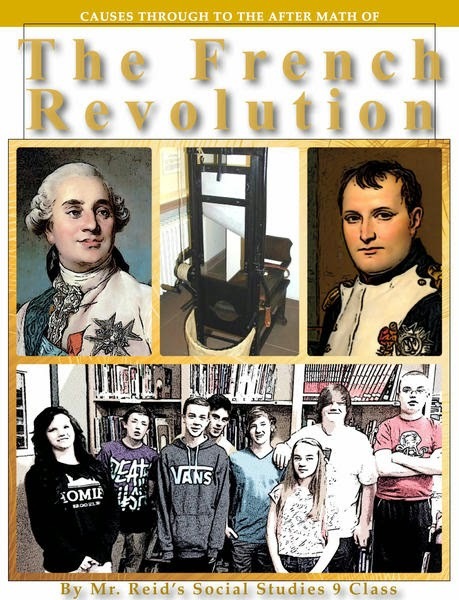 This book was created by my Social Studies 9 class in the Spring of 2014 while learning about the French Revolution. The French Revolution brought about drastic changes to the country of France. This revolution also had a major impact on other people and countries around the world. In this book you will learn about the Social Hierarchy that existed in France before the revolution. Not only will you also learn about the leaders (like Louis XVI & Marie Antoinette) and causes of the revolution, but the events of the revolution itself. Primary source documents are also examined and compared from various countries. The conclusion of our book shows you the aftermath to Napoleon and the final significance of the revolution for France and the World. While Mr. Reid’s Grade 9 students were learning about this important time period, they did some detailed research on all the aspects of the French Revolution. This book comprises a portfolio of all of the learning that students did in their small groups of this time period. We have created many video’s and charts to help explain. We hope you enjoy reading our student created book as much as we enjoyed creating it. #5. This book was created by my Social Studies 9 class in the Spring of 2014 while learning about the Canadian First Nations. First Nations peoples in Canada have a unique culture and history. This book explores various First Nations groups across Canada. You will learn about their original ways of living before European settlers came. Topics covered include shelter, food sources, clothing, seasonal activities, weapons, tools, government structure, customs, beliefs, and European contact. 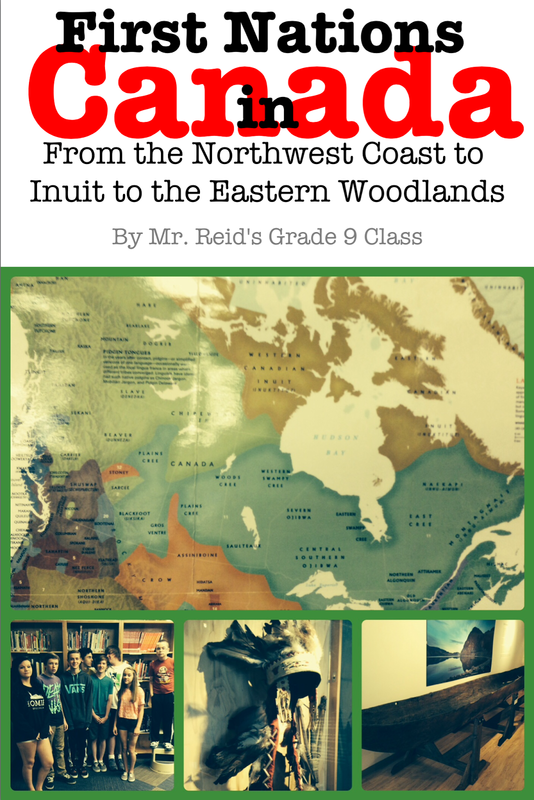 This book was created by Mr. Reid's Grade 9 classes part of a large research project on First Nations in Canada. All of the content is written and edited by students. #4. This book was first created by my History 12 class in the Fall of 2013, and then updated and improved in the Fall of 2014. This book was updated with new and improved content by another Grade 12 class in the Fall of 2015. It has now undergone revision by three different groups of students! This is my top downloaded book and has made it into the top 5 for it's category. This book was created in iBooks Author and Comic Life App. The 20th Century was shaped by the growth and establishment of Communism around the world. The understanding of of Russia/USSR and its influence across every continent cannot be understated. Discover the background and details of the Russian Revolution and its early years as a communist country. This comic book covers the history of Russia & USSR from the ousting of the Tsar through to Stalin iron reign and much more. 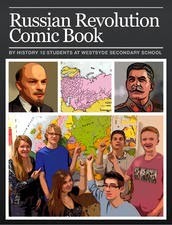 Mr. Reid's students created this book to be a portfolio of their learning about the the Russian Revolution and Communism. This history book is written in a comic book format to make it both a deep learning experience and a fun read. #3. This book was my first attempt using the Book Creator App, students did the pages on their iPads and I compiled it. It was created by my Social Studies 8 students in January 2014 at the end of their course. European nations and monarchs sought to find the trade riches from Asia during a period of time know as the age of exploration. Emboldened by new ship and navigation technology they sponsored many expeditions from all over Europe from the early 1400's through to the early 1600's. This student written book covers the countries & people who led these voyages all over the world. 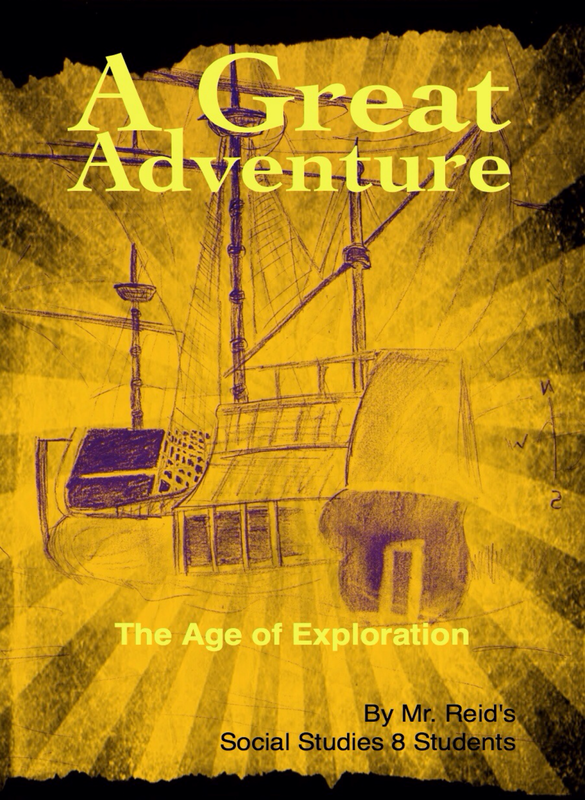 Mr. Reid's students created this book to show and share their learning about the Age of Exploration. This history book contains details of the people and their voyages, significance, charts, pictures, audio recordings and videos trailers. #2. This book was created by my Social Studies 9 class while they learned about the War of 1812 in the Spring of 2013. The War of 1812 was a pivotal war in the history of both Canada and the United States. This student written book covers the causes, people, battles, significance, and quotations. 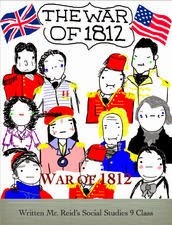 Mr. Reid's students created this book to show and share their learning about the War of 1812. This history book contains charts, quotes and videos. We hope you enjoy reading it as much as we enjoyed creating it. #1. This is my first eBook that I created and has had three revisions by different classes. It was first created in iBooks Author with my History 12 class in the Fall of 2012. In 2013 my class did some improvements and updates, and again in the Fall of 2014 we added new sections. This book went through a major re-write with my Grade 12 class in the Fall of 2015. This addition also has more new topics and chapter and has greatly increased the number of pages. It has now undergone revision by four different groups of students! 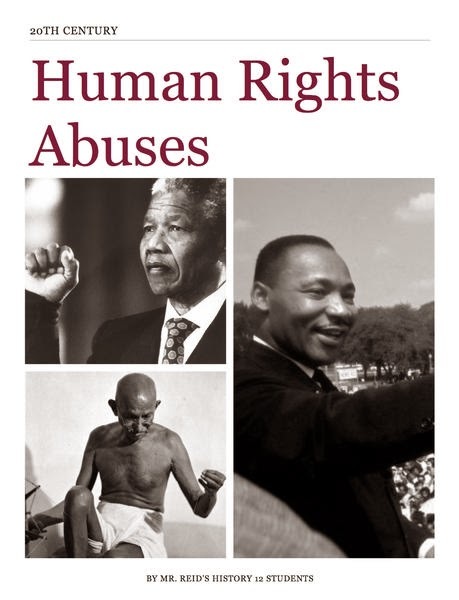 Discover the background and details of human rights abuses around the world in the 20th Century. The struggle for equality and freedom are universal to peoples from all over the world. This student written book covers South Africa, United States, Israel, India, and more. New sections on the 2014 Nobel Peace Prize Winners: Malala Yousafzai & Kailash Satyarthi. Mr. Reid's students created this book to show and share their learning about the Human Rights Abuses in the 20th Century. This history book contains charts, quotes and pictures.